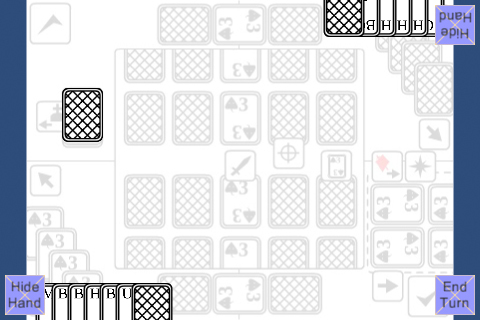 The cards now animate to their respective player’s corners when drawn from the deck, although not in the exact positions. I’m still working out how it works. There’s a ‘hide/show hand’ button which toggles the cards in the hand’s visibility – this is useful in local multiplayer play on a tablet. There is also an ‘end turn’ button which draws a card for the other player. What’s next: setting up the guardians should be fairly easy to do. I should also try and get the cards in the hands positioning and navigation sorted out as well.